The rate hike is a small one, but it will affect millions of Americans, including investors, home buyers and savers. Savers should eventually see a little more interest on their deposits at the bank, but big banks didn't make any increases Wednesday. Mortgage rates will gradually rise. The move was widely expected. It is a sign of how much the economy has healed since the Great Recession. The central bank believes the U.S. economy is strong now and no longer needs crutches and that the move "marks the end of an extraordinary period" of low rates designed to boost the recovery from the Great Recession. "I feel confident about the fundamentals driving the U.S. economy, the health of U.S. households, and domestic spending," Fed chief Janet Yellen said during a press conference. "There are pressures on some sectors of the economy, particularly manufacturing, and the energy sector...but the underlying health of the U.S. economy I consider to be quite sound." The Fed telegraphed it will be patient with future rate increases so as not to kill the economic recovery. The central bank's statement said the economy will only merit "gradual increases" in rates, which are likely to remain low "for some time." 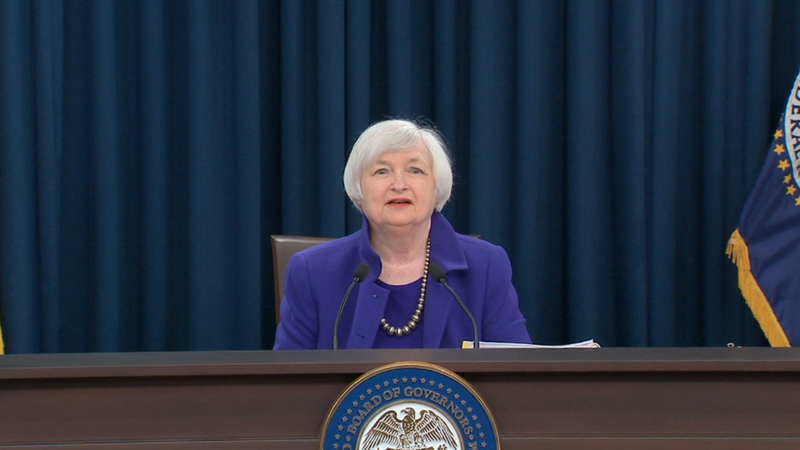 Yellen repeatedly said during the press conference that future rate hikes will be "gradual." Stocks rallied with the Dow rising 224 points after the announcement and Yellen's press conference. Investors were pleased to see that the Fed expects "only gradual increases" in rates next year and that the committee explicitly said it would take into account "readings on financial and international developments." But the economy is no longer in crisis. In fact it is a lot healthier -- unemployment now is at 5%, half of the 10% rate it hit in 2009 during the worst of the jobs crisis. Over 12 million jobs have been added since the recession ended. Wages -- which have barely grown during the recovery -- have also started to pick up recently. On Wednesday, the Fed's committee improved its economic outlook. Compared to its last forecast in September, the Fed raised its expectations for growth next year to 2.4%, up from 2.3%. It also lowered its projection for unemployment in 2016 to 4.7%, down from 4.8%. The Fed still has low expectations for inflation. The central bank has two goals: low unemployment and stable inflation. The Fed's target for inflation is 2%, but right now it's close to zero. The Fed sees inflation inching up in the years to come, but not hitting 2% until 2018. Known as "liftoff," the Fed's action is expected to be the first of more rate increases that will probably come in 2016. The last rate hike was June 2006.